How do South Koreans View Donald Trump? With President Donald Trump finishing up his first official trip to Asia, including a stop in South Korea last week, this week's episode of Korean Kontext asks: what do South Koreans think of President Trump? 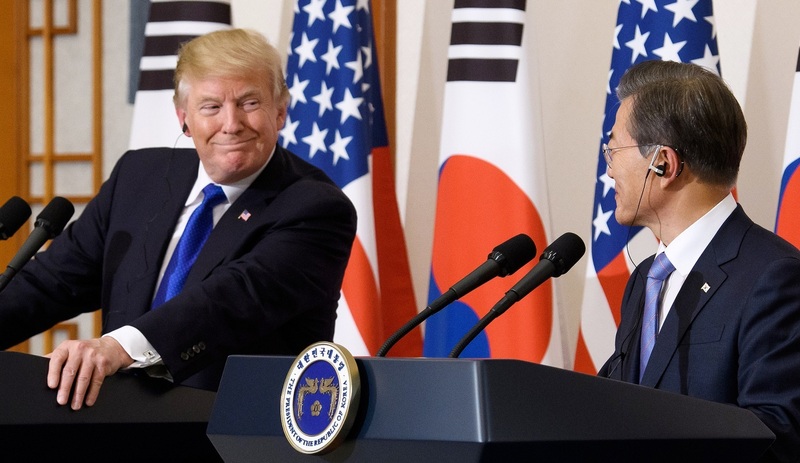 KEI program manager Juni Kim has been following the polls, and has found that while very few members of the Korean public have confidence in President Trump, their views of the United States as a whole remain high. In this week's podcast, host Jenna Gibson sits down with Juni to discuss some of the polling in South Korea about the United States and its leader, as well as how he thinks President Trump's trip to Korea could affect his approval rating among Koreans. Image from Republic of Korea's photostream on flickr Creative Commons.